Fair Housing Is Your Right! Project Vida owns or manages many apartment complexes, duplexes and single family homes of 1, 2 and 3 bedrooms for qualifying low- and moderate-income families in the greater El Paso area. All Project Vida properties are clean, safe, well maintained; have easy access to public transportation, schools and other services; and enhance the neighborhoods where they are located. 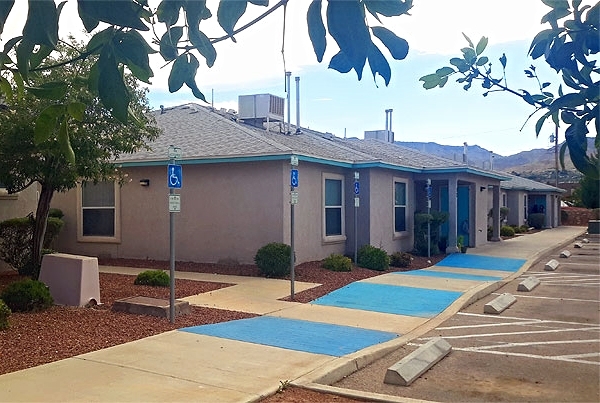 The St. Anne's Apartments located at 600 S. Piedras is a 12-unit complex geared toward older adults and persons with physical disabilities. Some of the units are fully accessible and ADA-compliant. In cooperation with the City of El Paso, St. Anne's was re-designed and re-purposed on the site of the former St. Anne's Church and Community Center.